ARLEY – Meek High School has hired David Norwood as its new football coach, replacing Lance Archer who recently resigned. 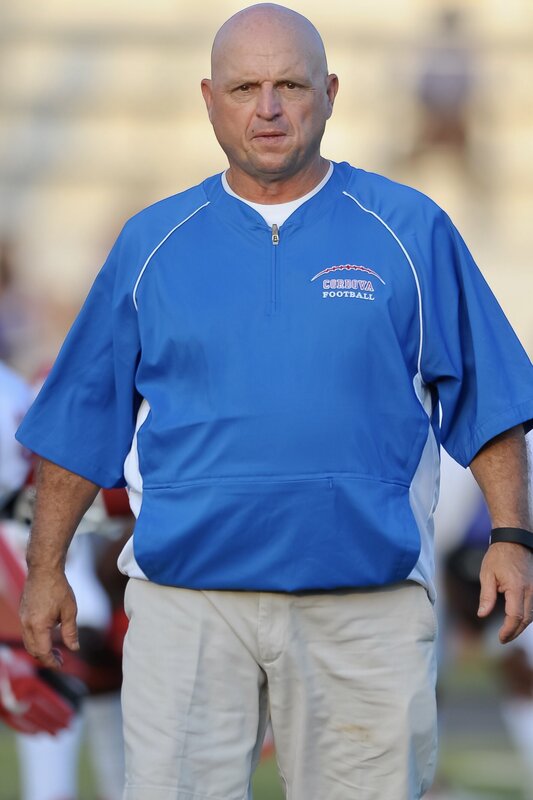 Norwood spent the last couple of years as defensive coordinator at Cordova High in Walker County. Norwood has been a head coach at two schools in the neighboring area. He coached Gardendale High School from 2002 to 2003, compiling a 19-5 record and a 2-2 record in the playoffs. He moved on to Austin High School in Decatur, leading the Black Bears from 2004 to 2009. The Bears unfortunately never developed great success, going 23-38 during Norwood's tenure with a 5-6 record in 2008 being his best for the program in the River City. As DC at Cordova, the Blue Devils have been a solid program with 22 wins and only four losses from 2015 and 2016. The Devils reached the semifinals of the 4A playoffs in 2015. Cordova gave up only 15.7 points a game that season, holding four opponents to one touchdown. Meek was 5-5 last season, 2-4 in 1A Region 7, failing to make the playoffs. The Tigers will begin the Norwood era on Aug. 25 at Meek against Phillips of Bear Creek. No word has come from Vinemont as the Eagles look to replace Matt Norris. Norris was relieved of his duties on May 22. Vinemont has been reviewing applications and is hoping to fill the vacancy as soon as possible. In a recent interview, Vinemont High School Principal Ferrell Runge told The Tribune the assistant coaches are handling off-season workouts. Vinemont will kick off the 2017 season at Mark Smothers Stadium Sept. 1 against rival Good Hope. Douglas High School in neighboring Marshall County hired Bryan "Bubba" Jennings as its new coach. Jennings takes over the position vacated by Brad Pounds. The Eagles were 1-9 in 2015 and have not won more than five games in a single season since they got six victories in 1998. Jennings is known for his days coaching at Susan Moore High School in Blount County. Jennings guided the Bulldogs to a 51-43 record from 2006 to 2014 and was 5-5 in the postseason. Jennings took over at midseason in 2006, leading Susan Moore to a 7-1 record and a berth to the semifinal round in Class 3A. As of the weekend, 14 schools in the Alabama High School Athletic Association remain with a coaching vacancy. The closest to The Tribune coverage area is DAR, located in Marshall County.